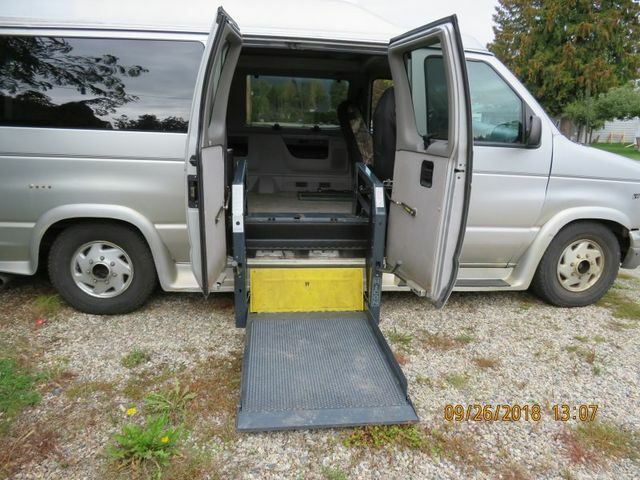 2000 Ford E-150 Wheelchair Van. Newly installed SIDE Hydraulic lift by CanAm in Kelowna for $12000. Has 175000 Km., V8 engine (5.4 L), Automatic transmission, New Tires. New Windshield, and a Rear Seat. I have had it for 5 years now. Runs great and the lift is easy to use. Located in Sicamous. Email or call 250 515-1900. Email is best!! (ps. no texts please). PRICE REDUCED TO $8,990 TO RECOVER PART OF THE COST OF THE NEW LIFT! MUST SELL BEFORE WINTER COMES, SO IF YOU NEED SOMETHING LIKE THIS, BRING ME A VALID, REASONABLE OFFER, AND I WILL SEE WHAT I CAN DO TO HELP YOU OUT! I also have a power wheelchair which I paid over $10,000 for. I will include this with the van for a total of $10,000 for both items, as I no longer have a need for them, since my wife recently passed away.